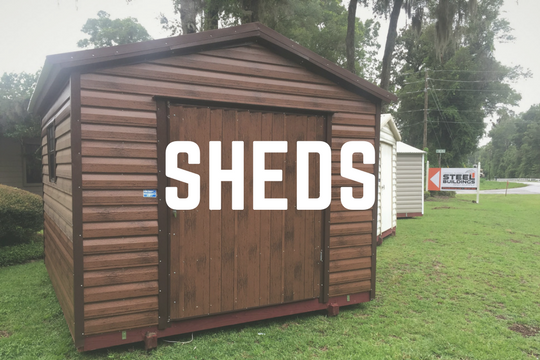 Our sheds are a great portable storage solution for your home or business. 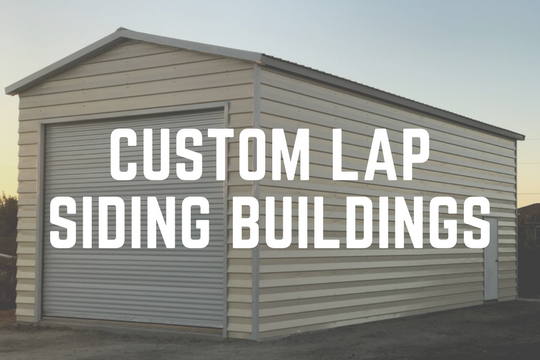 Check out our shed options and get a quote! 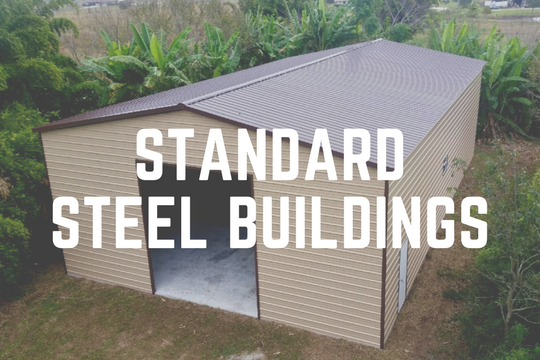 See a variety of our steel buildings and let us know what you are looking for, we will build to your specifications and needs. 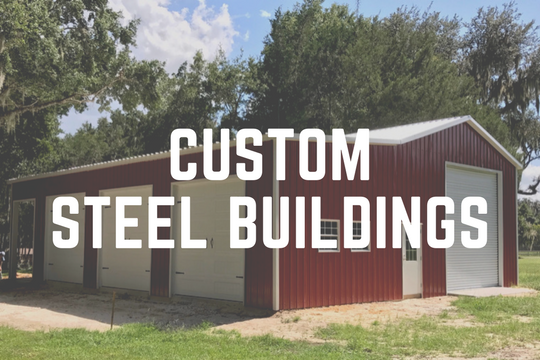 Take a look at inspiration for your custom steel building. Let us know what you are looking for and we will guide you through the building process. Do you need your steel building to have the same siding as your home? See some of our previous work and request a quote. 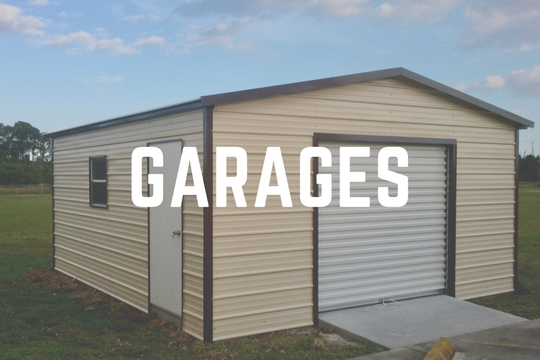 Our garages are custom built to your specifications. View our gallery of garages and we will create a quote to meet your needs. 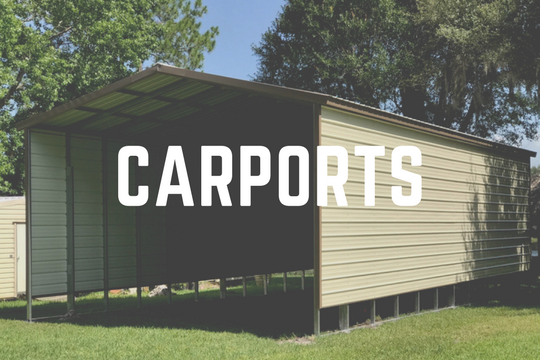 Our carports are manufactured to meet your needs. Check out a variety of examples and we will create a custom quote for you. Central Florida Steel Buildings & Supply is a group of experienced partners with over 50 years of combined knowledge. 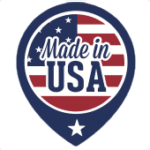 Our experience in the Florida Steel Building market sets us apart from other companies in our geographic area. We are centrally located in Ocala, Florida. Our experience includes delivery, engineering, manufacturing, and prompt service. Central Florida steel buildings is amazing. They did a completely custom enclosed 36 by 60 by 16 ft Eve height building for my workshop and 40 ft long camper. 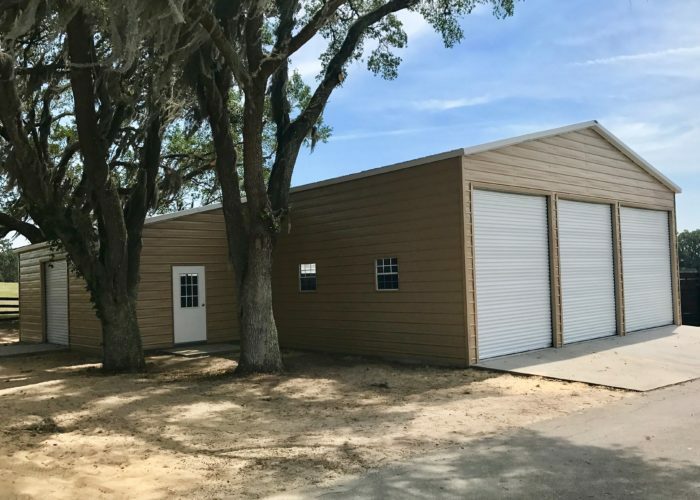 They also added a custom 20 foot lean to along the entire length of the building and I am able to park 4 cars, a tractor, A 4-wheeler, a small trailer and a golf cart under it. The lean-to is open and very spacious. I really needed the extra space my building is giving me and the only regret is that I wish I would have done it sooner. I am planning more buildings from them. Can’t thank everyone involved in the making of my dream building enough. Absolute perfection from all installers on this process. Definitely would recommend to anyone. This was an awesome company to work with! They were knowledgeable, kept us informed every step of the way & took pride in their work. We had a 36 x 50 enclosed building built & it looks great. Great workmanship. We would highly recommend them! I have had business dealings with Mike Martin for 20 years, always pleasant, professional, courteous. I highly recommend him. 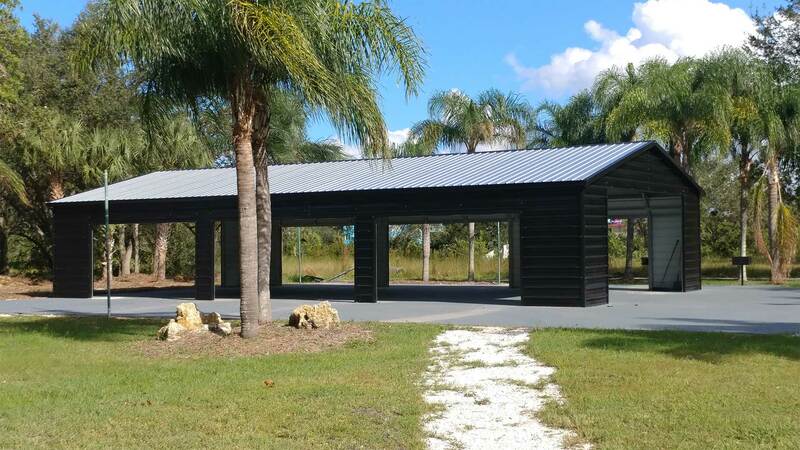 Thank you Central Florida Steel Buildings and Supply I love my new garage and future “man cave.” You guys are awesome and the crew did an outstanding job. I am 110% satisfied with the results and highly recommend this company for your garage/barn/shed needs. Mike Berthrong was so awesome to work with and brought my design dreams to life. Thank you again!! I want to thank everyone at this company for being such a great help. After going through a company that could not do commercial drawings for permitting for my business I was referred to Central Florida Steel. They got me the correct drawings to get the permit to go through. The building and the quality is great. I am happy to be soon running my business out of this building thankyou!! Ready to speak to a Steel Building Expert?